By Andrew E. Bederman, Esq. Why Am I Publishing This Information? A little while ago, I spoke with a dear friend of mine, who happens to be a brilliant surgeon... the kind of doctor that is always up on the latest research and science. In our conversations, he mentioned something about surgery that will forever stick with me. He said, "the advancement of surgery should not be so concerned about doing it faster or easier... but rather, it should be concerned about performing surgery more safely." As an attorney who represents victims of defective medical devices -- often those that were rushed to market without the proper attention to patient safety -- I knew (as did my friend), that the main focus of surgical innovation had gone astray. For most things in life, the idea of "faster, cheaper and easier" is an attractive one. Who doesn't want faster internet speeds, cheaper cable TV, easier-to-use computers? But as my surgeon friend so eloquently explained, "faster, cheaper, easier" doesn't always translate to "better" -- especially in the world of surgery. When you're in the operating room, why would you want anything other than the "better" surgery? It appears surgical innovation is being fueled more and more by the perilous pursuit of "faster, cheaper, and easier"... not necessarily because that is what is best, but rather, because that is what sells. And so both my surgeon friend, and myself (a lawyer), are now seeing many medical devices under scrutiny by the FDA and being quickly recalled because what initially looked like a promising advancement in surgery, actually turned out to be a nightmare for so many innocent patients. One such medical device that comes to mind is something called a laparoscopic power morcellator -- a small bladed device that minces up either fibroid tumors (in the case of myomectomy), or the uterus (in the case of hysterectomy). It's sole purpose is to mince these large masses of tissue (fibroids, uterus, etc) into very small pieces (like a blender), allowing it all to be extracted through a very small incision in the abdomen. At first thought, the idea of a smaller incision, an easier extraction and a faster recovery is an appealing one. It was these reasons why power morcellators quickly became a popular choice for fibroid removal and hysterectomies. But as my surgeon friend mentioned, surgical innovations that are "faster, cheaper, and easier" don't always translate to being "better for patients". 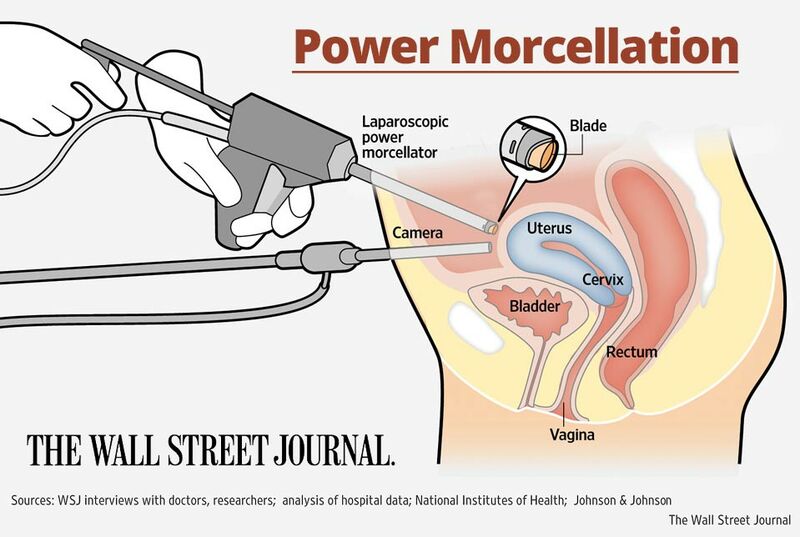 And in the case of power morcellators, what patients got wasn't better... but actually, it was much, much worse. And so I have decided to publish the following information to help the many women that have been adversely affected by the use of laparoscopic power morcellators in their fibroid surgery or hysterectomy. Sadly, the most tragic consequence caused by morcellator use is an upstaged (accelerated) underlying uterine cancer -- typically leiomyosarcoma (LMS) -- a rare, smooth-muscle sarcoma that is virtually impossible to detect before surgery and is extremely difficult to treat after detection. As a medical device attorney whose job is to understand as much about morcellators and the resulting upstaged uterine cancers, I feel I can add value to not only the victims and their education, but also to the conversation and current debate about the safety (and hopefully subsequent ban) of power morcellators for fibroid removal and hysterectomies. Beyond what is listed on this webpage, I welcome any victims of morcellation to give me a call to discuss, at no charge, your experiences, the condition you are in, and what your legal options are moving ahead. But ultimately, this page is not about a sales pitch. People are looking for good, quality information on the topic of morcellators and leiomyosarcoma -- and so my hope is that you find value in the information that I have curated here. Instead of trying to clearly describe the recently discovered link between morcellation surgery and leiomyosarcoma cancer, I have decided to include videos that do a very good job of summarizing things. CBS News produced two TV segments that I suggest everyone watch. They give a great overview of the dangers of power morcellators used in myomectomy (fibroid removal) and hysterectomy. In the video above, you'll notice the introduction of Dr. Amy Reed, the anesthesiologist who found out she had Stage 4 leiomyosarcoma after coming out of her myomectomy surgery for fibroid removal. She and her husband, Dr. Hooman Noorchashm (a thoracic surgeon) have become the most vocal and outspoken critics of morcellation due to the extreme risks that have now come to light. I suggest you watch this 2nd CBS segment about morcellators and leiomyosarcoma, which again feature Dr. Amy Reed and her husband, Dr. Hooman Noorchashm, talking more about the tragic consequences caused by morcellator use and their launch of a petition to ban the device. As you can see, doctors and patients who choose laparoscopic power morcellation (smaller incision, faster recovery times, etc) put themselves at great risk of upstaging an existing, hidden cancer. What does "upstaged cancer" mean? "Upstaged" means that there was an existing, low-stage cancer (ie. Stage 1) present before surgery, which is then immediately accelerated into a higher-stage cancer (ie. Stage 4) due to a specific occurrence. In this case, that specific occurrence is the use of a power morcellator device in surgery, which essentially sprays microscopic cancer cells all over the abdomen. At this point, you may be asking why doctors don't screen patients for existing cancer before performing surgery with a morcellator? First off, not all doctors pre-screen for leiomyosarcoma or other pre-existing uterine cancers -- something that should (and will) be made mandatory going forward. Secondly, and unfortunately for both patients and doctors, these types of low-stage uterine and endometrial cancers are virtually impossible to detect. They rarely show up on a pathology report or in any other screenings pre-surgery -- making the decision to use morcellation in surgery feel like one of blind hope, than one of confidence. "You're basically playing Russian Roulette with that patient's life"
CBS Nightly News aired yet another segment featuring upstaged cancer victim Dr. Amy Reed, where we learn that in her case, she had multiple tests done before surgery to look for pre-existing cancers, but nothing showed up in the results. The CBS News video above talks about a recent Columbia University study that set out to determine how many women have a pre-existing, underlying uterine cancer before having surgery for fibroid removal (myomectomy) or hysterectomy. The Columbia University College of Physicians and Surgeons study found that 1 in 368 women going into surgery have an underlying cancer. Jason D. Wright, MD, an associate professor at Columbia University Medical Center who was part of the team that performed the study, shares some really insightful observations and findings that anyone affected by uterine cancer should listen to. You know... thank goodness for brilliant people like Jason Wright and his colleagues, and thank goodness they were able to get accurate statistics that show the REAL risks involved with morcellation. Before Columbia University's study, there was no data to let doctors or patients know what the real risks were. In fact, at the first FDA meeting held to discuss the potential cancer risks of morcellation, there were experts trying to guess at these stats, and many experts were guessing that the risks were only 1 in 10,000! Sadly, however, we now know the truth -- and it's a lot scarier than anyone could have guessed. The number of women tragically affected by morcellators is simply astounding. I have chosen to include an actual laparoscopic video (footage of the surgery itself) of a hysterectomy to show exactly how these morcellator devices cut, mince and spray potential cancerous cells around the abdomen. But the footage is real, and shows uterine tissue being cut and minced. So please feel free to skip this video if you'd rather not see it. If you were able to sit through the whole video, you saw that morcellation is a very graphic, and messy technique. Towards the end of the video, you see many large chunks of tissue left behind after the initial extraction of the uterus... and you see the device trying to clean up the visible tissue that has been spread all around the abdomen. But certainly thousands of microscopic amounts of tissue were sprayed all around in the process of mincing everything up too. If any of that tissue contained an underlying cancer (no matter how early of stage), the spraying of these microscopic tissues is like "seeding" the entire abdomen with cancer -- and why as much as 1 in 368 women will come out of surgery with a significantly upstaged cancer -- typically leiomyosarcoma (LMS). 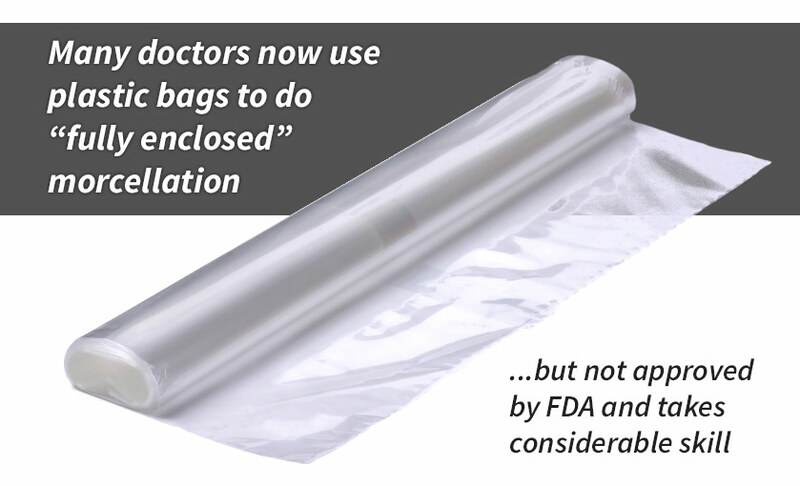 Because of these recent findings, many surgeons have recently switched to performing morcellation in an enclosed plastic bag, which helps prevent the spread of cancerous tissues in the abdomen. However, this technique has not been reviewed by the FDA and apparently requires quite a bit of expertise and skill. Sadly, most surgeons before these findings performed morcellation without a plastic bag. 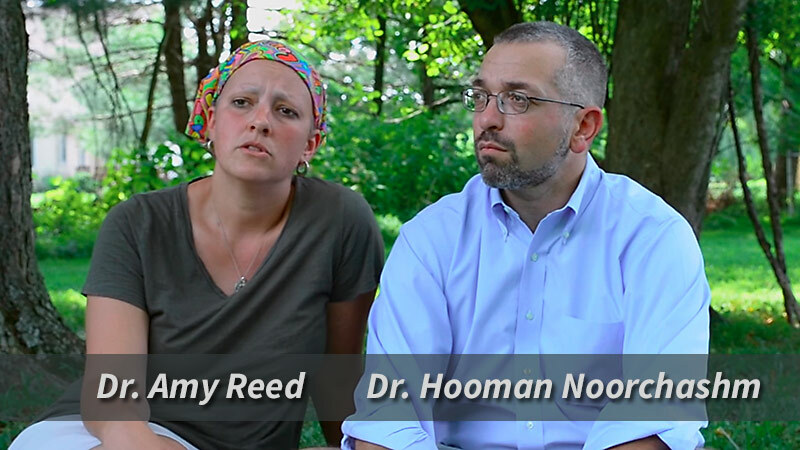 They are... Dr. Amy Reed and her husband, Dr. Hooman Noorchashm. 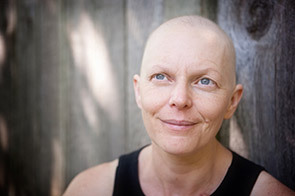 Amy, like thousands of other victims of morcellation, had a low-level underlying uterine cancer before her hysterectomy. But morcellation took that contained, highly-treatable cancer, and spread it all over -- making it instantly stage 4 and highly-resistant to treatment. Amy is an anesthesiologist, the wife of Dr. Hooman (a thoracic surgeon) and the mother of six children. 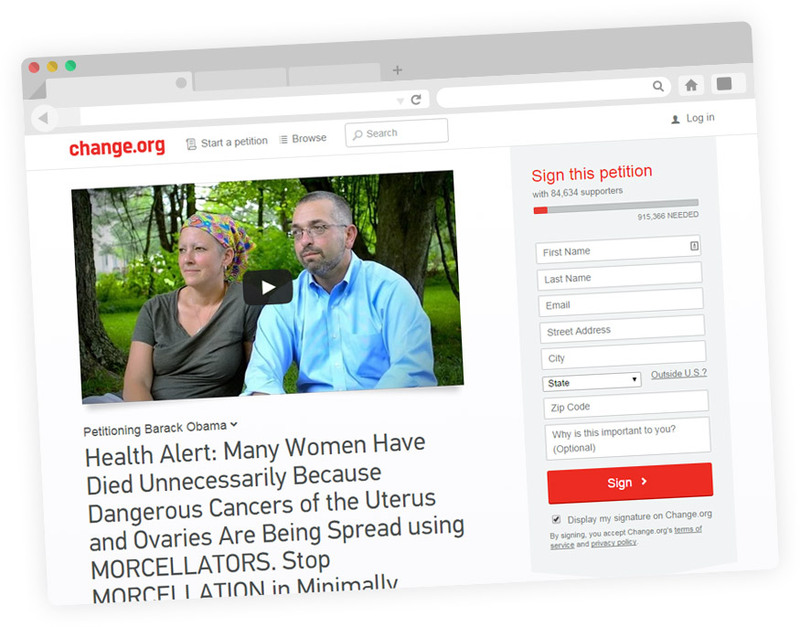 This husband and wife team, amidst their personal struggle with cancer, have bravely become outspoken critics of morcellation and launched a Change.org petition to ban its use in gynecological surgery. Their petition currently has over 85,000 signatures, and I encourage you to check it out and sign it. I will have links to the petition and other resources from Dr. Amy and Dr. Hooman below that you can visit when time permits. They both produced a video (below) to educate patients, doctors, victims and anyone else who will listen about the dangers of morcellation. It's a 37-minute long video that goes into great depth on nearly every important topic that surrounds this procedure, leiomyosarcoma, and the story of Amy's treatments after her diagnosis. Beyond their petition, Dr. Amy Reed and Dr. Hooman Noorchashm continue to put forth the best information on the subject of morcellation risks and leiomyosarcoma. Recently, they both did a 3-part interview with Health Watch USA, and the information they shared should be extremely useful for victims and their doctors who need to be educated on these things. I encourage you to watch each of these interviews with Dr. Amy Reed and Dr. Hooman Noorchashm, as they are a wealth of knowledge on the subject. I applaud both Amy and Hooman for their efforts. I am certain their voice will be heard and eventually we will see a ban of these morcellator devices for gynecological surgery. 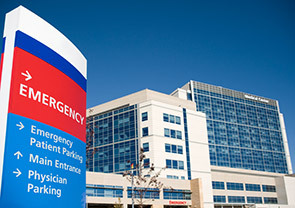 Already we are seeing prominent hospitals discontinue use of morcellator devices, such as The University of Pittsburgh Medical Center (UPMC) -- which was one of the first to do so. Also, some health insurers, like Highmark, Inc. who is one of the largest BlueCross BlueShield providers in America, have announced it is ceasing coverage of power morcellators because of the known risks regarding upstaging cancers. As you can see, progress has been made! When insurers, hospitals and doctors make the decision to stop using morcellation, women's lives are saved. And this is in no small part, due to outspoken victims like Amy Reed, who are fighting courageously to prevent other women from becoming victims of morcellation too. But sadly, there are still surgeries done everyday using morcellators. It is our hope that the FDA bans these devices for gynecological surgeries, due the mounting pressure and recent findings. It is my hope that the information curated and put forth here has helped you fully understand why you or a loved one has been adversely affected by these defective morcellator devices. It is evident that the morcellator device's design and function in the field of gynecological surgery is flawed. Morcellators were marketed and sold as a reasonably safe and effective medical device by their manufacturers. Nowhere on their product labels or warnings was there mention of the possibility of spreading an occult (unknown primary) cancer. But luckily the FDA has taken notice of the alarming facts that have surfaced and is taking action. On April 17th of 2014, the Food and Drug Administration (FDA) posted a warning to all health care providers and patients. "Be aware that based on currently available information, the FDA discourages the use of laparoscopic power morcellation during hysterectomy or myomectomy for the treatment of women with uterine fibroids." Further, the FDA stated that it is taking action to warn the manufacturers of morcellators about these risks, to form a committee to evaluate the safety going forward of these devices, and to continue to review the adverse events that are being reported due to the use of morcellators. As a defective medical device lawyer, I can with certainty say that these statements made by the FDA, in the form of a released warning, are very troublesome for the manufacturers of these devices. Amidst the startling research numbers showing 1 in 368 women could be adversely affected with an upstaged cancer due to morcellation, Johnson & Johnson swiftly recalled their morcellation devices that were marketed and sold to gynecological operating rooms. However, many other manufacturers have not yet recalled their devices. To give you an idea how many other morcellator devices there are besides those made by Johnson & Johnson, I have included below a comprehensive list of the morcellators that have been, or continue to be, on the market for purchase. As you can see from the very long list above, there are a lot of morcellator manufacturers that continue marketing and selling the device despite the dangers and despite the recent warning from the FDA. Medical device manufacturers are subject to STRICT guidelines and rules set forth by the FDA (Food and Drug Administration). The FDA puts such laws in place to require these manufacturers to fully disclose the widest range of adverse effects that can occur with use of their device. ...this is done so doctors and patients like yourself can weigh the benefits of a particular surgical procedure against the possible risks and consequences of using that procedure. If the manufacturer of a medical device does not fully disclose the extent to which their device could cause harm to you or your loved one, how are you supposed to make an educated decision? How are you supposed to know if the benefits of a surgical procedure outweigh the risks? Innocent victims like Amy Reed, and the other women whose stories were shared in the videos above, were not informed about the risks. Surely, many of the women who have been tragically affected would have opted out of morcellation had they been warned... especially considering there are other surgery options available for hysterectomies and fibroid removals -- all of which do not use morcellators. Women who have been diagnosed with a uterine cancer, such as leiomyosarcoma, shortly after a hysterectomy or fibroid removal where you suspect morcellation was used, should strongly consider seeking financial compensation with a lawsuit. There are a multitude of legal grounds why the manufacturers of these devices failed to uphold their legal obligations as set forth by the FDA. It is reasonable to think that mincing and shredding uterine and fibroid tissue inside the abdomen could spread hidden, underlying cancers. 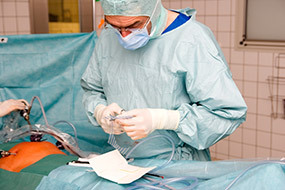 Spreading dangerous cancer is a problem that does not occur in alternative surgical techniques. The FDA sets forth strict device testing guidelines, which may not have been met by morcellator manufacturers. With the astounding prevalence of upstaged cancer in morcellation surgeries, a case could be made that the morcellator was not properly tested. Because these devices were not properly labeled with warnings about the potential of spreading hidden, underlying cancer, hospitals, doctors and patients were not properly informed of the risks. 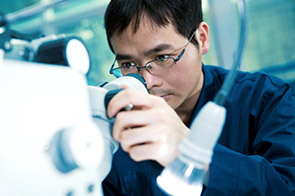 Medical device manufacturers are required to state any potential risks associated with their product. By not doing so, they commit fraudulent misrepresentation -- marketing a product as safe, when in fact, it is not. Manufacturers are required to recall any device that is shown to be unsafe or cause undue harm to patients. The latest research shows morcellators are not safe, and thus an argument can be made that the majority of manufacturers have failed to recall their morcellators. If you would like to speak to me personally (Andrew Bederman, Esq), I am more than happy to have a conversation with you. There is so much you need to know as a victim of morcellation, and I am available to anyone in need of legal advice. 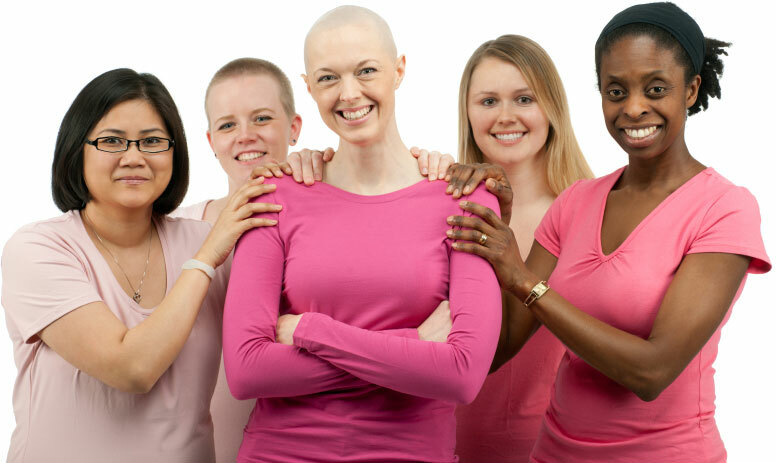 I am offering free legal consultations to anyone who developed a uterine cancer, such as leiomyosarcoma, after having fibroids removed or having had a hysterectomy. My consultations are free, and you are in no way obligated to work with me, or pay me anything. 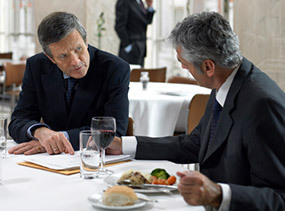 It's just a friendly conversation where I can help you understand what your best options are, and what you can expect by filing a lawsuit to pursue helpful financial compensation -- money that can go towards your family, treatment and quality of life. Greenberg & Bederman is currently accepting morcellator lawsuit cases nationally. It does not matter what state you live in.